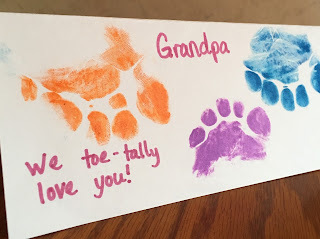 Since I don't have stamp pads, I just colored their toes with washable marker and pressed their feet onto the card stock paper. My 9 year old was especially ticklish that day, so his was a little harder to get a good toe-print of :). On the inside, they each wrote (or scribbled, in the case of my 2 year old) a message for Grandpa, and we sent it off in the mail. 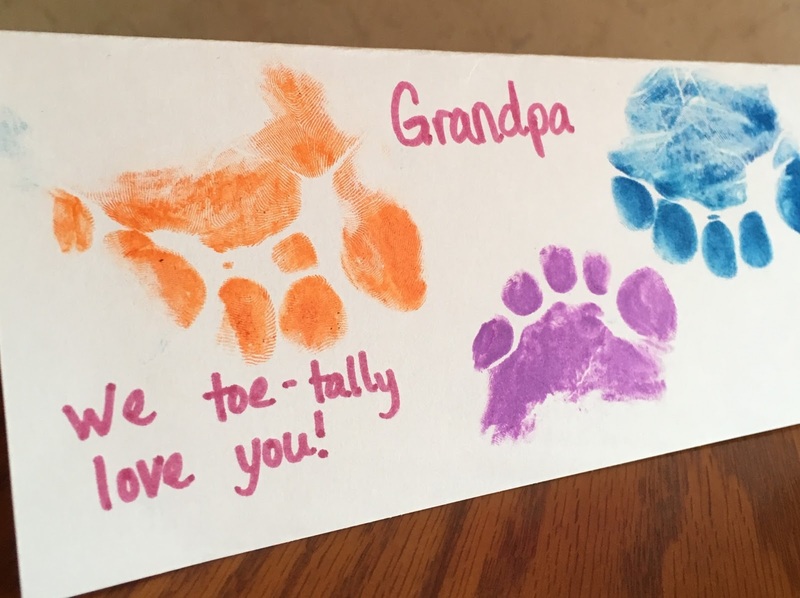 I love sending handmade cards to my loved ones, and I love that cards like these get my kids involved and show them that there are many ways to express our love for others. Thank you Danielle's Place for the adorable idea! So creative and I know your ad loved it.